We provide a large range of Control Systems from Extron, Atlona and SVSi. If you'd like to have a chat with us about it, give us a call. Since 2003, Atlona has been an industry leader and expert in distributing and managing virtually every AV signal type. The result...Smarter solutions partners can depend on from every connection point. With Atlona solutions, you have assurance that content will be transported over a system you can trust without sacrificing signal integrity. 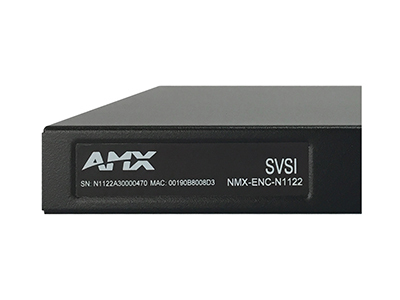 The SVSI Networked AV Digital Media Distribution and Switching solution utilizes industry standard IP networking to deliver the most scalable, flexible, cost effective and easily controlled solution available for connecting any type of media from any number of sources to any number of destinations, within a room, across an enterprise, or around the world. Click here for more reasons why you should be thinking of using SVSi.